The McDowell Lady Titans didn’t win the Northwestern 3A/4A Conference championship, but they swept the top postseason awards in voting by the league’s coaches. Lady Titans senior guard Dezi Williams was named the conference’s Player of the Year, while Jennifer Kinninger was named Coach of the Year. In addition, Lady Titans Makenna Parkins and Makaylah Chandler were named to the girls’ all-conference team, while the Titans’ Dylan McRary was selected to the boys’ all-conference team. Williams averaged 12.1 points, 5.5 rebounds and 1.6 assists per game and led the team with 71 steals. She shot 80 percent from the line and 43 percent from the floor. An excellent defender, Williams often guarded the other team’s best perimeter player. “I can't put into words how proud I am of Dezi and all she has accomplished and done for our program,” said Kinninger. 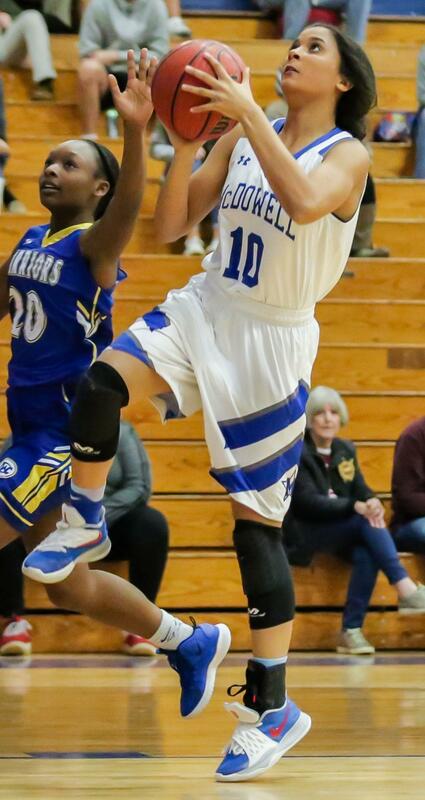 “For four years we have relied on her athleticism, her defense, her ability to get to the basket and how she is willing to sacrifice her body for hustle plays to benefit our team. She has been a blessing to coach and it has been an honor to watch her come in as a freshman trying to figure things out to now a senior who has led our team and is walking away with such an impressive award. Williams wrapped up her four-year varsity career as a three-time all-conference selection who scored 1,070 career points. She was the first Lady Titan since Markia Stacey in 2013-14 to win conference Player of the Year. 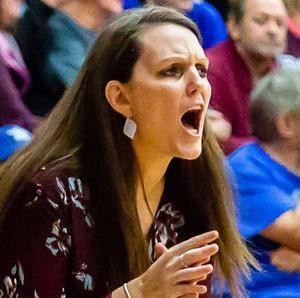 Kinninger, in her eighth year, earned the NWC’s top coaching honor for the first time, although she was named Coach of the Year twice when McDowell was part of the Mountain Athletic Conference. She led the Lady Titans to a 17-10 overall mark and a 10-4 league record, which tied McDowell with Watauga and Hickory for second place behind conference champion Freedom. Kinninger said she was humbled by the honor. “I am so humbled that I would be selected for this award when I coach with so many amazing coaches in our league,” she said. “It is a blessing and privilege every day to get to coach these young ladies and see them grow as players and young women. It should never say ‘Coach of the Year’ but ‘Coaches’ because (assistants) Laura (Boles) and Turner (Kincaid) do so much for our program and really invest into our girls. Read the rest of the story at McDowell News.